The American Heart Association created Go Red For Women to empower women to take control of their heart health. Go Red For Women raises awareness of the link between women and heart disease. It offers the knowledge of risk for heart disease and lead them to take action to reduce their personal risk. This cause also gives them the tools to lead a "heart healthy life." The goal for 2010 is to reduce "death and disability from cardiovascular disease and strokes by 20% while improving the cardiovascular health of all Americans by 20% by the year 2020." The American Heart Association uses all revenues from local and National Go Red For Women fundraisers to help women by offering educational programs, advancing women’s understanding about their risk for heart disease and providing tools and motivation. To help women reduce their risk, there are up-to-date strategies and treatments tailored to a woman’s individual risk. Go Red For Women fundraising activities also support research to discover scientific knowledge about heart health that turns into materials and tools for healthcare providers and decision-makers to use to help women. 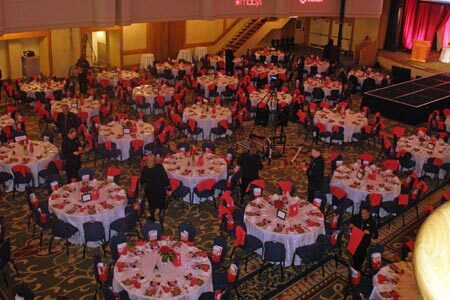 An upcoming event is called the Go Red Luncheon. This will be a day of women’s health education, a hearty lunch and much more. If you are unable to attend, we hope you can still donate to help the cause. If you would like to get involved, click here. "The luncheon promises to be an exciting way to get involved in the Go Red for Women movement." FAS will GO Red For Women.